Paulist Fr. 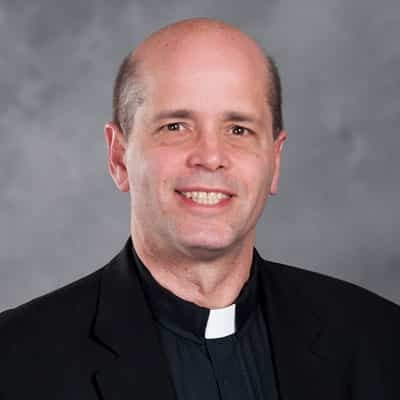 Ed Nowak is director of the St. Thomas More Newman Center, the home of the Catholic campus ministry at The Ohio State University in Columbus, OH. He also conducts parish retreats or missions entitled “Spirituality for Evangelization: Living our Baptismal Anointing as a Priestly, Prophetic and Royal People.” The program includes preaching at all the Sunday Masses plus three to five mission evenings, depending on a given parish's time frame and needs. Fr. Ed previously served as director of the University Catholic Center at the University of Texas at Austin. He also was our community's vocations director. A native of the South Hills of Pittsburgh, PA, Fr. Ed earned his undergraduate degree at Penn State and his master's degree from The Catholic University of America. He made his first promises to the Paulist community on August 11, 1984, and was ordained a priest on May 13, 1989. Fr. Ed can be reached at EdNowakcsp@aol.com.